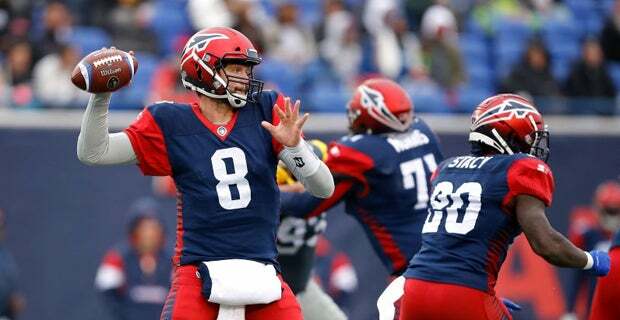 Just this past week the football world was shaken up with the surprising and abrupt end to the AAF season. Tom Dundon, the chairman of the AAF, has decided to suspend all football operations of the Alliance until further notice to the surprise and disbelief of many fans, coaches, and players. Although not fully being considered a fold, ProFootballTalk has released a statement saying it, “seems to be moving that way.” This unfortunate series of events is still underway and their seems to be no end in sight to the drama associated with these events. The new league had a very impressive and exciting start up with decent ticket sales, good ratings on television, and many high caliber athletes. The league made it through 7 weeks with close to no issues until the all out shutdown of the league this season. The only real upset during this season was the apparent troubles the league had with paying players a couple weeks ago. This apparent problem was thought to have been taken care of before this week. The main problem with this shutdown is the amount of money all of these players are still owed. With a few players signing $300,000 plus deals, the organizations who held the rights to these players are very much in a lot of debt. This will surely cause lots of lawsuits and claims to this money in the coming weeks since these were formal contracts and promised money. This doesn’t even cover the money that is owed to coaches, employees, and league officials. The league is in big trouble unless they can figure out how to get this money to these people that deserve it. The AAF may make a comeback but as it looks right now, they’re headed for a full blown fold and end of all operations. Many people saw this new and exciting league as an alternative to the NFL and a breath of fresh air to people who have been losing interest and trust in the National Football League. Another sad realization is the swift end to the well welcomed idea of spring football at a professional level. Hopefully the league officials figure out a way to bring the AAF out of this and get a fresh new start.